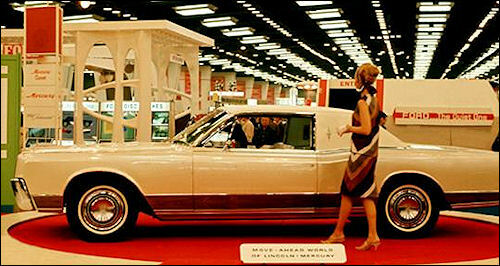 A special attraction in the 1966 Lincoln-Mercury exhibit at the Chicago Motor Show was the Coronation Coupé show car. Custom touches include a padded roof that eliminate the quarter windows, a reduced rear window, and a wide band of walnut trim that run the full length of the lower body. 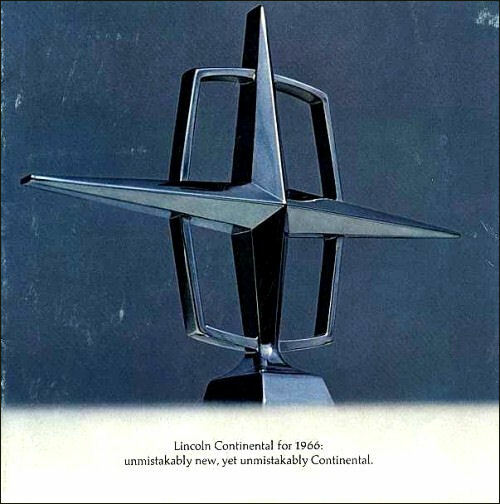 Chicago’s Lehmann-Peterson constructed the experimental Lincoln.